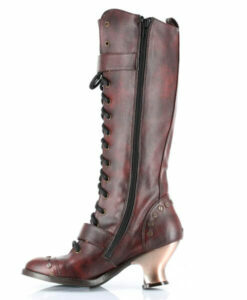 The Valda our newest tall boot is sure to turn a lot of heads. 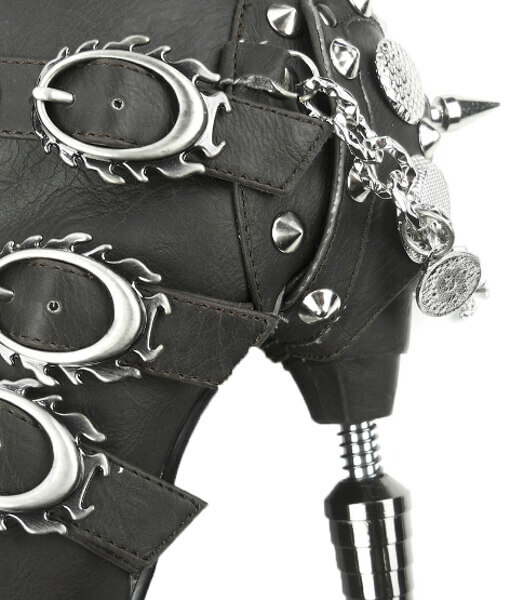 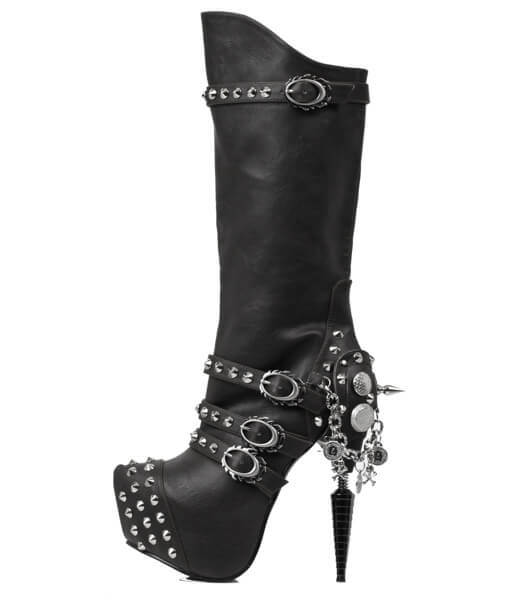 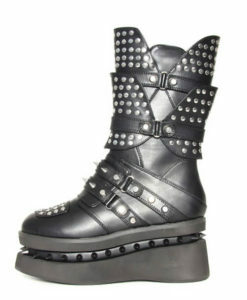 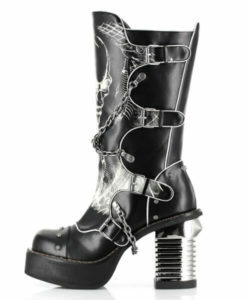 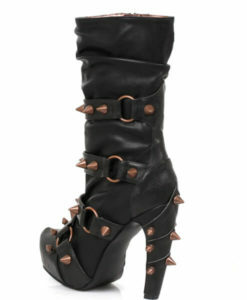 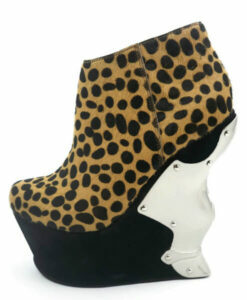 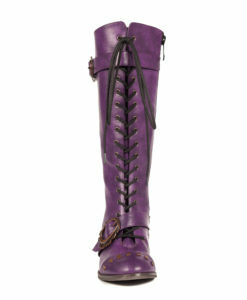 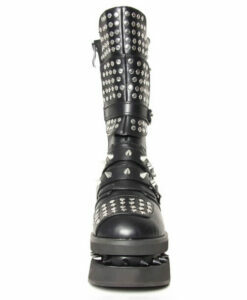 Adorned with small spikes on the toe and adjustable flame buckles. 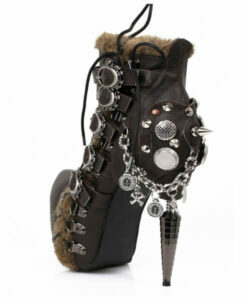 The back reveals a single spike, dangling skull and coin charms, and decorative metal adornments on the heel. 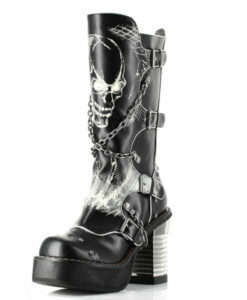 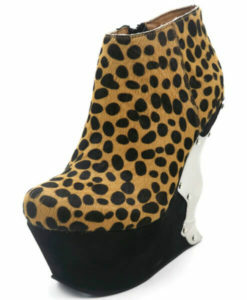 6in stacked heel and 1.5in hidden platform.